While for viewers the American Ninja Warrior 6 season only recently concluded with the airing of the final episodes in September, for me over a half year has past since my season ended in the water below the Ring Toss in the Dallas Finals. In some ways the season was satisfying – I got selected to compete again for my fifth season, which is always an honor and thrill, and I advanced to the Dallas Finals having been just one of 21 competitors out of around 150 to complete the tough Dallas Qualifying course. In other ways it was a disappointment, primarily because I failed to achieve a major goal I’ve had since I first dreamed of competing in Ninja Warrior, and that is to advance to the National Finals in Vegas and try my hand at the pimpin’ massive replica of the legendary 4-stage course of Sasuke in Japan. Two of the last three seasons I’ve fallen just short of this goal by ending my run in the City/Regional Finals only a couple of obstacles before where I needed to get to in order to advance to the National Finals, and it hurts. I’ve been marinating in that disappointment a lot the last few months and been thinking hard about what I have to do to make it to that next level. One way to get better at anything is to seek the advice of somebody better than you. Much better than you. A few months back I had the chance at a training workshop to talk with Drew Drechsel, who is one of the top guys of our sport and a transcendent parkour and ninja athlete, and he shared with me his view that a powerful and flexible core is the most important attribute on the course. He acknowledged that grip strength of course is incredibly important, but that core often gets overlooked, and is just as important if not more important in the earlier rounds before the latter stages in the National Finals that are grip-intensive. Given this advice, and that a year ago I badly tore an abdominal muscle that had me on the shelf right up until American Ninja Warrior 6, my top area of focus for preparing for next season is to build a powerful, integrated core. I’ve always considered myself to have a strong core, but have never really worked hard at it much, and am beginning to realize as I start training my core more frequently that I was deluding myself before. I’ve asked those in the ninja community for their favorite core exercises and received some phenomenal suggestions, and while my goal is to not get too addicted to any particular core workout but to “mix it up” to train my core for different functional movements, there are a few staple exercises that I find myself using a lot these days: plank variations, hollow body rockers, and hanging windshield wipers. So a combination of preparing for American Ninja Warrior 7 and rehabbing from one of the worst injuries of my life has put core strength and flexibility at the top of my training focus this off-season. Anybody who has ever competed or even just watched much Ninja Warrior will say that having a kung fu iron grip is absolutely critical on the course. And that’s because it’s true. When I used to rock climb regularly my grip strength was pretty good, but my demanding schedule with work and family doesn’t allow me to go climbing often, and my grip has definitely deteriorated from its peak. At the same time I see the insane grip workouts that many of my fellow ninjas are putting themselves through (looking at you Jamie Rahn), and I feel a grip strength gulf widening between me and the competitors that routinely achieve my goal of making the National Finals. So the reality is clear to me that I need to more programmatically work on my grip strength. I’m dealing with some bicep tendonitis that I need to rest to heal, so a number of training exercises (including climbing) that would be obvious choices for me to work on my grip strength are off the table, so I’ll have to focus on some other exercises that won’t tax my bicep. For Christmas I’ll be asking for a climbing board so I can train at home in the evenings, and plan to work the various grip and hang exercises. I’ll also do the Shaolin finger hand exercises in a bucket of rice that a lot of climbers do to rehab injuries and build balanced grip and tendon strength. I did this last season when I was on the shelf with my ab injury, and it is a ferocious grip regimen that really helped me prepare for the competition when other grip exercises were totally unavailable to me due to my ab tear. I also have some grip attachments (pipes and skinny ropes) that I can hook up to my kids’ playset in the backyard, and practice on those. Skinny ropes in particular for me represent a real weakness, and I know I need to get MUCH better on rope and vertical grips in order to make the National Finals, so will be focusing on that in the next five months before competition. I’ll start with extended hangs, then close transitions, and then leaping graps. Kung fu iron grip here I come! Last season I competed at my lightest weight in my five American Ninja Warrior seasons when I got down to 208 lbs. It was the lowest I’ve been in almost 10 years, and I felt good and light on my feet. However, after the competition my weight pretty rapidly returned to its natural “homeostatis” weight of about 220. I recently had pretty hard training sessions on actual obstacles during trips to Albuquerque and Los Angeles, and I felt very heavy at 220. Even at 208, I’m one of the heavier competitors in the competition, and this is a big disadvantage for me. Although I’m clearly delusional to some degree, as evidenced by my competing in American Ninja Warrior at age 43 in the first place, I’m fairly realistic about certain things too. And one of those things is how much weight I could possibly lose for American Ninja Warrior 7, having relevant data points of how much weight I was able to lose in my sincere attempts to lighten up prior to past competitions. At the beginning of November I stepped on the scale and weighed an even 220, and clocked in at 16% body fat. I’m slightly ashamed by that second number, I know there are many ninjas out there who are going to say “Damn! That’s a fat ninja right there!” Pretty much every ninja I know would have single-digit numbers for their body fat. These are some lean fine-tuned athletes. So I acknowledge that I am not lean at 220 lb and 16%, but it gives me some motivation that (1) I’ve been able to compete pretty well even at this big fatty size, and (2) I have some non-productive weight to shed to get to a lighter weight while not sacrificing muscle. With almost a half year from the beginning of November to the spring when competition most likely will happen, I feel pretty good about putting out a weight target of 205 lbs (meaning I’d lose 2.5 lbs a month from now until then) and get down to 11% body fat, which would mean 11 of the 15 pounds I’d drop would be pure fat. If I can hit that goal, I’d feel that I’d done better for American Ninja Warrior 7 than I’d been able to do any other season in this dimension. Balance is a skill that a lot of ninjas overlook, and they simply hope that they won’t get a brutal balance obstacle in the Qualifying course that begins the competition. I think there are a large number of American Ninja Warrior competitors who have ridiculous balance from backgrounds in parkour and gymnastics, and while there aren’t very many true balance obstacles in the competition, usually each season a couple of the regions have a tough balance obstacle that reaches out and bites a number of accomplished competitors in the City Qualifying and Finals rounds. This year that was the Slack Ladder in Venice Beach, which knocked off legendary parkour pro Jesse La Flair (among others), and the Dancing Stones in in Miami which slayed top guys like Idoko Abuh, William Brown, and Brett Sims. Last year in Dallas our “balance obstacle” was the Tilting Table, which was quite easy, and I have a feeling that we’ll get a more challenging balance obstacle next season. Balance is not a hard thing to randomly train, so I hop up on beams and rails and practice walking on them whenever I have the chance, and I also bought a kid & beginner friendly slack line that I practice on with my kids on the weekends. Slack lines are pretty fun, and great balance practice! My goal is to be ready and confident for whatever balance obstacle they throw my way in American Ninja Warrior 7. While I don’t believe practicing all day long on actual obstacles guarantees success when you encounter them on the course, there is simply no substitute for getting practice on actual obstacles to practice technique and build the psychological confidence that you can surmount similar obstacles when it’s game day. Sadly I don’t have many actual obstacles at my disposal to train on, and am at a disadvantage to the guys and gals who have obstacle course gyms at their disposal where they can get hundreds of reps of practice. I’ve never really had ready access to the obstacles though, and have always found a way on my work travels to visit fellow ninjas at their gyms and get some training time and advice from them that I rely on when the competition rolls around. I’ll continue this approach, and hope to get to places like Alpha Warrior in San Antonio and Iron Sports in Houston a few times before the competition to drill technique and build confidence. In particular I’m really hoping to build skills in the peg board, which I have a strong feeling we might see in Dallas this year, and the Rolling Escargot which is death to big men and very technique-oriented. I’m also really hoping to get more experience on some of the vertical grip and rope obstacles as I know I really need to build up my skills and confidence there too. So for the record those are the five areas, in approximate order, for my preparation and training for American Ninja Warrior 7. Hopefully I can stay injury-free (always a big ‘if’ for ninjas) and can break through in American Ninja Warrior 7 to realize my longtime dream of making the National Finals in Vegas to compete with the very best obstacle course runners on the toughest course in America. 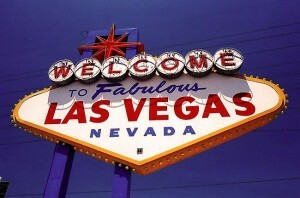 Vegas or bust baby! This entry was posted on Sunday, November 30th, 2014 at 3:39 pm and is filed under American Ninja Warrior 7, The Dream, Training. You can follow any responses to this entry through the RSS 2.0 feed.You can leave a response, or trackback from your own site.